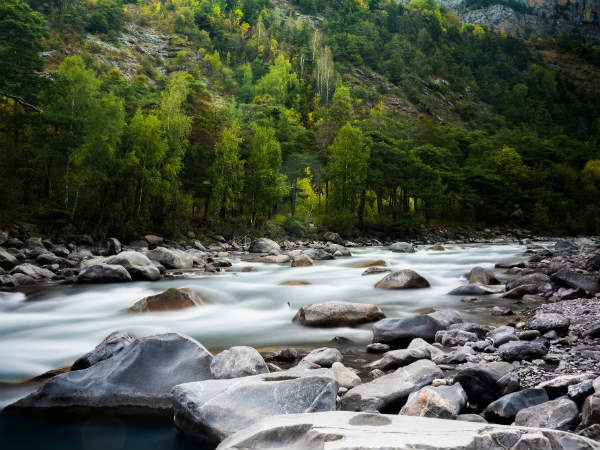 A surreal expanse blessed with hills, valleys, streams and waterfalls, Uttarakhand is generally referred to as the land of gods on account of the presence of pilgrimage sites within its boundaries. Hence, over a period of time, it has become a sure shot destination for every kind of traveller and tourist. Owing to the popularity, most of its hill stations and pilgrimage sites remain flooded with tourists throughout the year, thereby, creating an unpolluted, chaotic and disturbed environment. Wouldn't you want to avoid such overexplored destinations? If yes, then it is advisable to plan a tour of Karnaprayag in Uttarakhand this season. Despite being a site of historical, religious as well as natural prominence, it is one of the least-explored places in the state. Ain't you looking for such lovely stoppages? If yes, then read on to know more about Karnaprayag. Karnaprayag is a beautiful city settled in the midst of lush green hills and beautiful valleys of Uttarakhand. It is located at the confluence of the Alaknanda and the Pindar river and is one of the Panch Prayag (five confluences) in the state. As it harbours beautiful surroundings, it makes for a perfect weekend getaway for those who always look forward to exploring the beauty of nature. It is located at an elevation of about 4700 ft and provides its visitors with the panoramic views of the towering hills and thick vegetation. If you are a landscape photographer, then the beauty of Karnaprayag will certainly interest you. Apart from being a site of natural importance, it is also known for its religious prominence. Karnaprayag is believed to have been in existence since time immemorial. As per ancient Hindu texts, it is said to be the place where Karna, a significant character from the epic Mahabharata, worshipped God Surya and it is also the place where Lord Krishna cremated Karna's body after his death in the battle of the Mahabharata. Therefore, it is considered as a highly revered pilgrimage site. Hundreds of Hindu devotees come every year to the beautiful temples and other religious sites of Karnaprayag. If you would love to savour divinity and serenity at once, then Karnaprayag is your destination. It is one of the few places in Uttarakhand where you can explore temples, hills, valleys and rivers without any disturbance from the tourist crowd. You can also go trekking in its luxuriant valleys. So, don't you think a visit to Karnaprayag is worth remembering? After all, you can find each and every kind of tourist spot within its boundaries. So, why not pack your bags now and be on the route leading to Karnaprayag? By Air: The nearest airport to Karnaprayag is located in Dehradun at a distance of about 215 km. From Dehradun, you can either hire a taxi or use the public transport to reach Karnaprayag. By Rail: The best way to reach Karnaprayag by rail is by taking a direct train to Rishikesh railway station and then from there, a cab or a bus. The distance between Karnaprayag and Rishikesh is 175 km. By Road: Being a city, Karnaprayag is well connected to all other cities and town by a good road network.